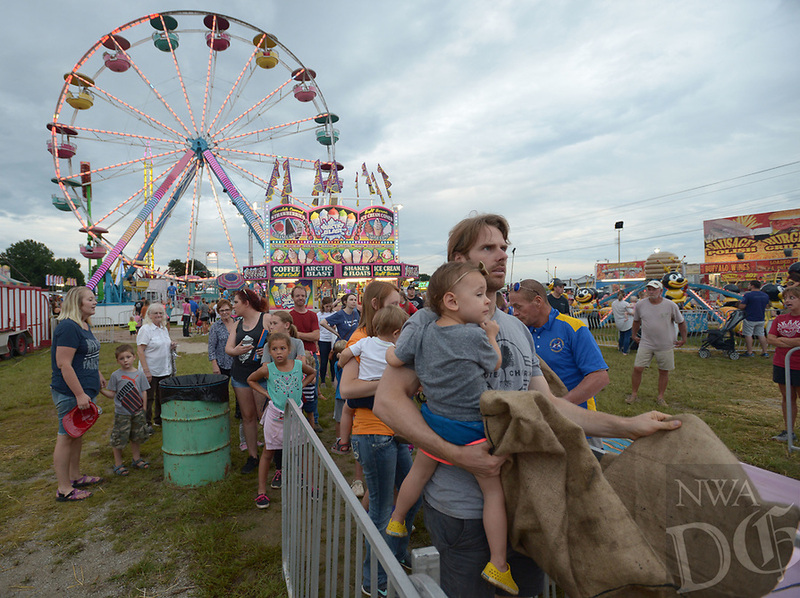 Kyle Horne of Johnson watches Wednesday, Aug. 8, 2018, as he holds his daughter, Quinn Horne, 2, as they wait to ride the Fun Slide during the 120th annual Tontitown Grape Festival in Tontitown. The festival continues through Saturday. The festival features a nightly midway, an arts and crafts fair, spaghetti dinners and live entertainment.